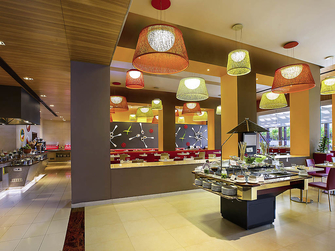 This multi-cuisine restaurant blends the choicest culinary delights with the finest ambience. 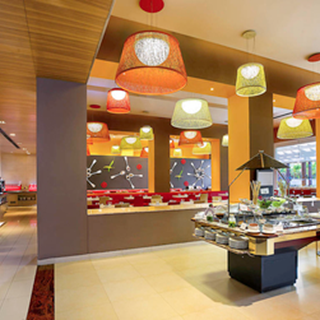 You will be spoilt with choice in the lavish lunch(optional) and dinner buffet spreads. An unlimited offering of soups, salads, starters, main course and desserts... the spread is endless. The glass walls give a fine view of the garden while the comfortable seating arrangement and stylish interiors make for a great dining experience. Enjoy your food in the cozy indoors or out in the garden. You will discover that this is an ideal place to enjoy great food with friends and family.